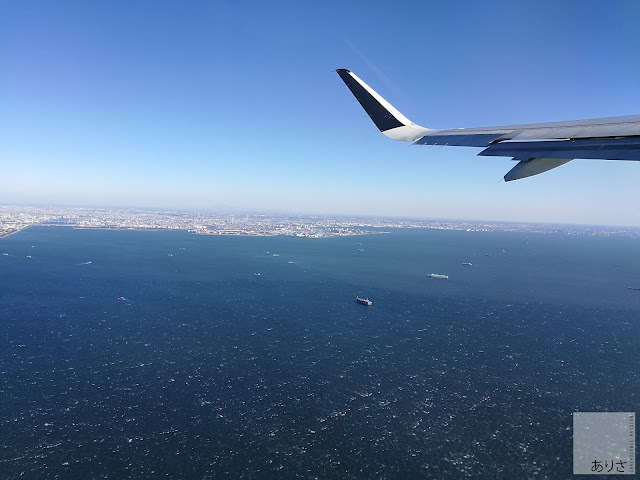 I wanted to name this blogpost "Our first and last trip together" but that would sound rather depressing because i know i am supposed to be celebrating her memory, cherishing those precious 2 months we had together before her passing. Took be quite a while to even touch my blog again because everytime i look at our photos together just reminds me of how lonely right now, though i am struggling to cope with it. Traveling with an infant sure is a huge challenge, before we flew i spent days talking to my other fellow mom friends on their travel experience with their child so i can prepare myself (abit) of what to expect but really no matter how much preparation you do as a mom there's bound to be hiccups and surprises. Guess that's what you call the challenges of motherhood and when you start questioning yourself whether you are "over packing" for your baby, trust me there's no such thing as "overpacking" for kids because they would make a whole lot of mess throughout the day with puke and poop. Though i have been to Kyoto before 2 years ago, my last visit was rather a brief one with あなた and we fought over there, the memory is still fresh by the way but that aside, i am not here to write about him but my daughter because i want to immortalized every moment i spent with her during this trip in words before i'm hit with amnesia or something, who knows? 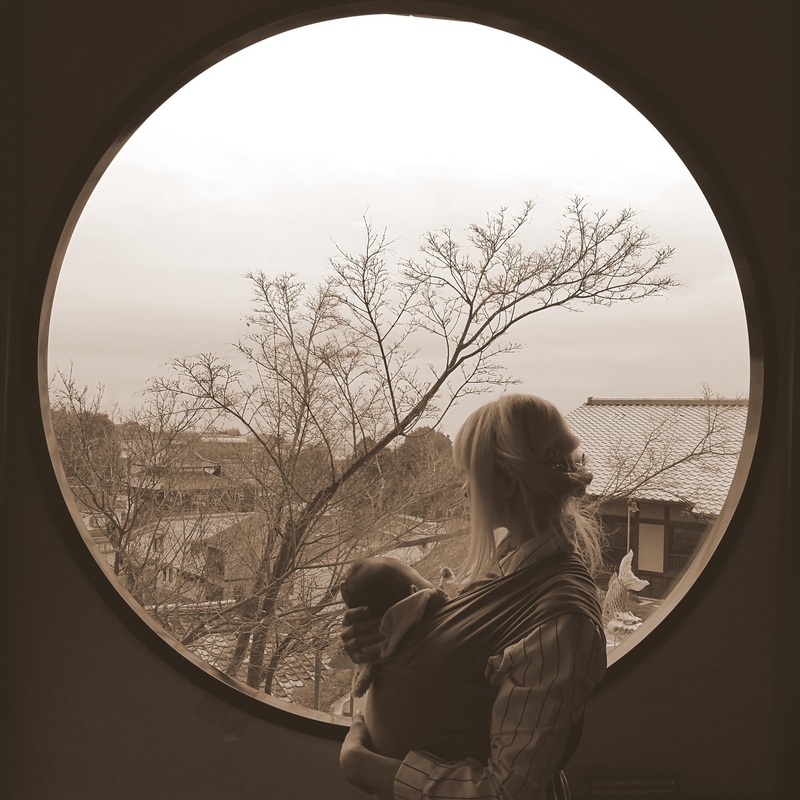 I didn't not plan much for this trip as my initial plan was to visit Hakone last year to give thanks at 九頭竜神社 but had that trip canceled because my obgyn said it's best to do it after i give birth and paeds told me to wait for 2 months before any flights with the baby as she also needed to take a couple of new vaccines that's compulsory outside of Malaysia. As a full time mom previously, i didn't have the time (considered luxury if you to have some to spare) to browse google and plan out my entire travel itinerary, even purchasing a flight ticket and accommodation is difficult enough let alone opening tons of websites and maps just to shortlist them. Trust me i did tried and all those opening links, closing them, at the end of all this effort put into coming out with my own plans just another day wasted. OMOTENASHI Travel Guide a.k.a "RURUBU"
That's when i recalled i had this magazine focusing on Kyoto which i got during the Japan travel fair last year (talk about coincidence) and i am so glad the magazine did all the hard work for me, all we did was followed this Omotenashi travel guide's as there's a tourist proof daily schedule prepared for you inside the magazine. 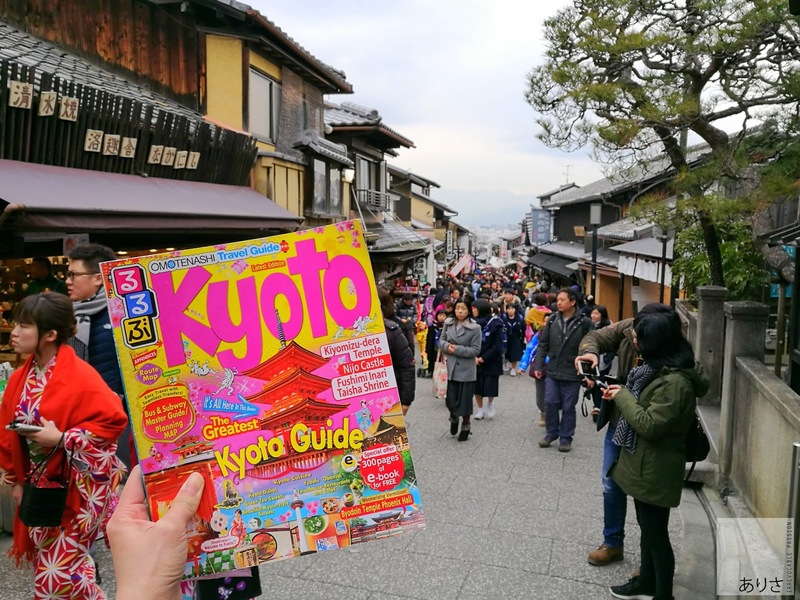 Here's a little brief information/ introduction about this guidebook, i know we live in an era that's highly dependent on the internet because it's free plus less hassle of carrying around a magazine and such but what we tend to overlook is the AMOUNT of time wasted staring at our phones/ PCs just browsing link after links and trying to compile everything into your itinerary which i can somehow never do, maybe it's because i am not such an organized person to begin with. Well, if you are not a parent then i guess you have tons of free time to do that but those of you who have your hands full please read on. OMOTENASHI Travel Guide is actually called "RURUBU" in Japan by JTB Publishing which is a highly popular guidebook and practically provides travel information to 60% of the guidebooks found within Japan itself. 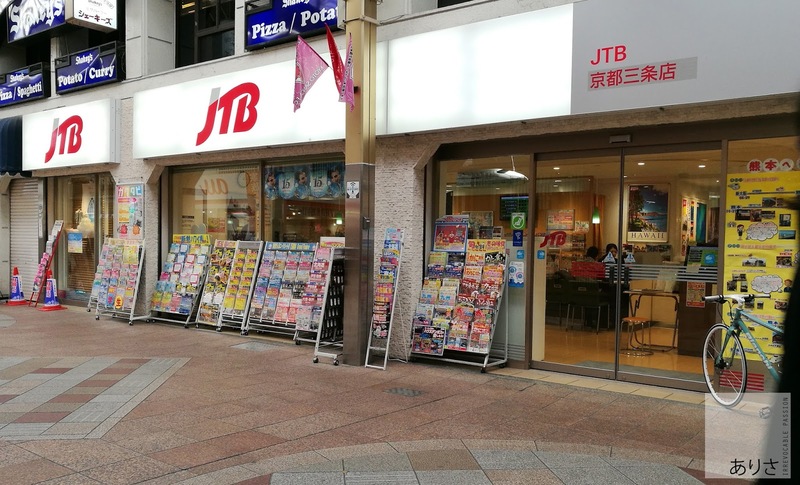 Don't be surprise when you walk pass any of the train stations that has those magazine stands, you'll see JTB's logo as the publisher or even large JTB travel agencies stores where you can walk in to either purchase or inquire about holiday destinations. This travel guide is not only available for Malaysians, in fact they have translated versions to cater for countries such as Thailand and Indonesia. However if you are from USA, UK & Australia you can always get the English version on Amazon. 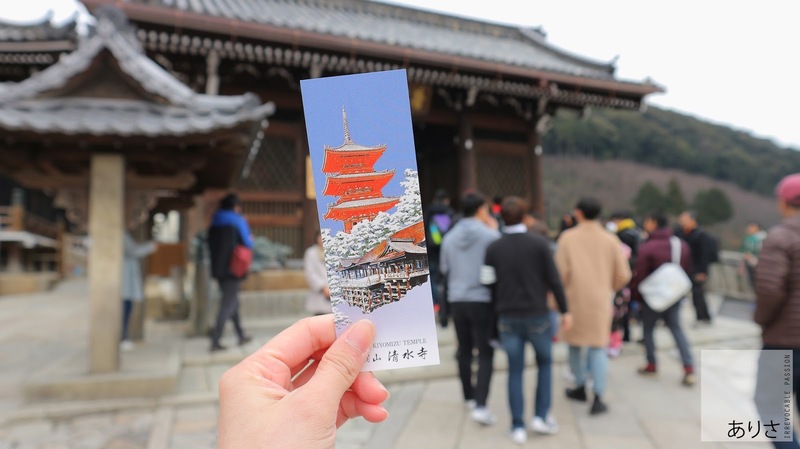 Content snippets focusing on the latest special events or season updates in Japan that's posted on Dozo Japan Malaysia are actually provided by this Omotenashi Travel guide. So if you guys would just like to keep in touch with what's ongoing here in Japan on a regular fresh out the oven basis do give their page a big LIKE. Okay back to our travels, though the guidebook already provides everything you need from A to Z information, maps and suggestions we still need to do some minimal selections on trails you would like to cover within your own comfort zone. Like mine, i shortlisted quite a number of cafes i can enjoy the ambiance and have good hot drinks while i breastfeed at the same time stay out of the cold as much as possible. 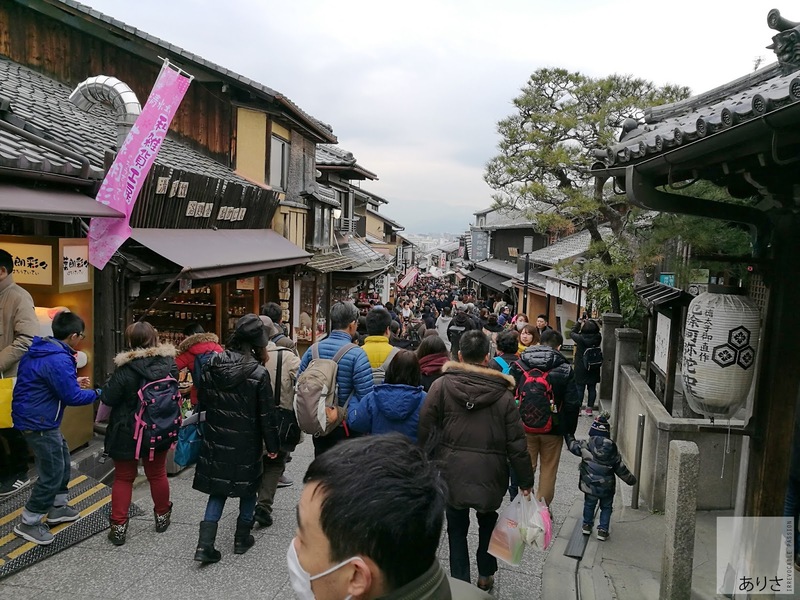 But when you are in Japan, walking is inevitable and you are not the only one out there walking with a baby as well because not everyone drives. Think during the few days we had together in Japan, we spent like 70% of our time in restaurants and cafes which if you are traveling on a budget basis, you would definitely feel the pinch (cup of hot tea- 400 ‎¥‎/ dessert- 500¥ give or take) but if you just want to experience trying different kinds of food/ drinks then you will have to close one eye for the food expenditure but trust me, every one of it is worth it because you won't be able to get the same kind of food quality back in Malaysia. That's also what traveling is for, to try something new and never stinge on experience. Kyoto is also rather big on it's own so to visit all areas -north/ south/ east & west, you would probably need at least 7 days to cover the major main attractions and this includes like 1 day rest from all the walking you have to do especially if you are not used to walking so much on a daily basis. We arrived at our rented room in Kyoto by noon after accidentally missing our early morning flight because i was so blur that i waited at the wrong departure hall for transit, thank goodness they allowed us to board the next one which was just another 2 hours wait from our initial booking. Thank you ANA for being so helpful and understanding, not to mention helping with the luggage till we reached Osaka. 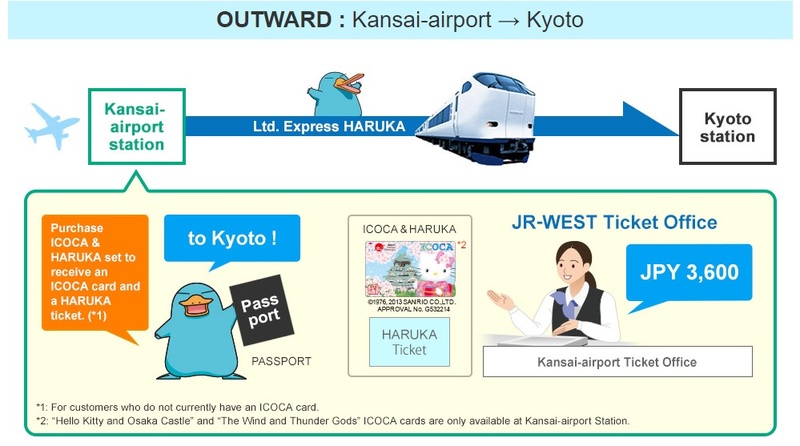 From KIX to Kyoto station there's this ticket you can purchase both ways (expires with 14 days) called the Kansai Airport Express "Haruka"and it takes about 1 hour & 15 mins to reach, enough time to breastfeed in between too. More details can be found on their website and also advance bookings. Upon arriving we just spent the day in our room resting, the only time we went out was to get dinner while i tried to juggle more breastfeeding sessions while trying to see which itenary shall we take out of the list in the magazine. 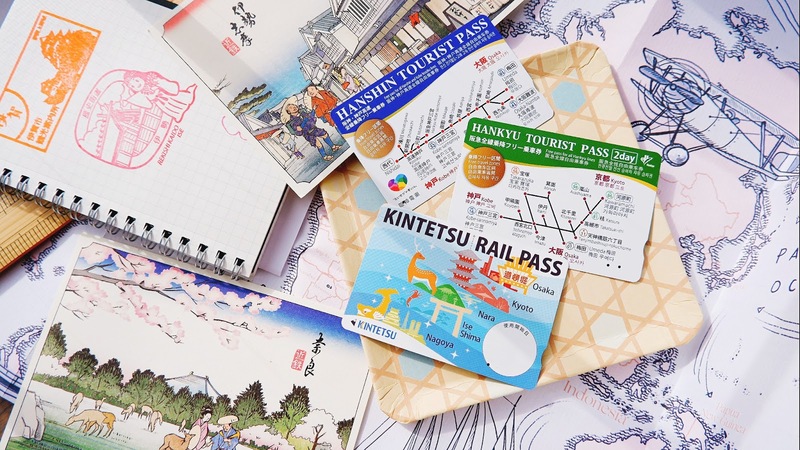 Inside Omotenashi travel guide, the reason why they have a list of "Recommended Itineraries", it's for travelers to get the most out of their visit in a particular prefecture during certain seasons. Guide book says, let's get dressed up in a Kimono before heading to Kiyozumi-dera to get your pictures taken, i did visit the nearest shop i spotted named Yume Kyoto (Kyoto's dream) to check out their beautiful selections of kimono available for rent. Couldn't try because first of all by the time i'm done wearing it, it would be time to take it off to feed Mariko. But they were nice enough to allow me to snap some photos of the place! 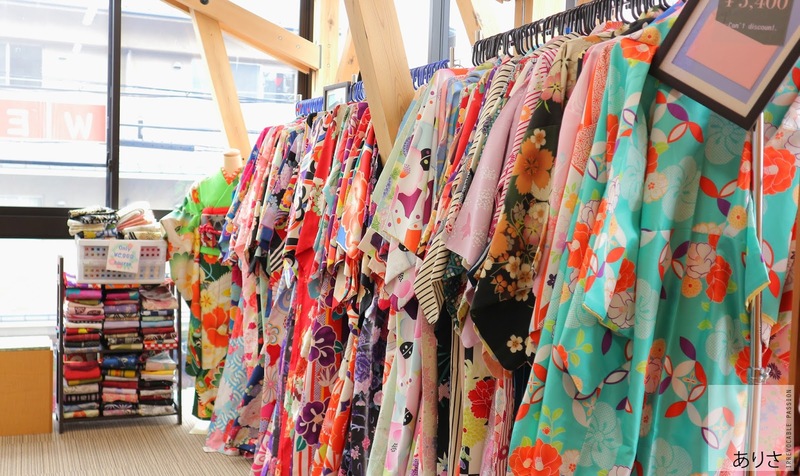 The plans offered are quite reasonable too as low as 3000 ‎¥ for a complete set, they go by one day rental so to get your money's worth it's always advisable to get dressed first thing in the morning so you can go around Kyoto in your beautiful kimono. 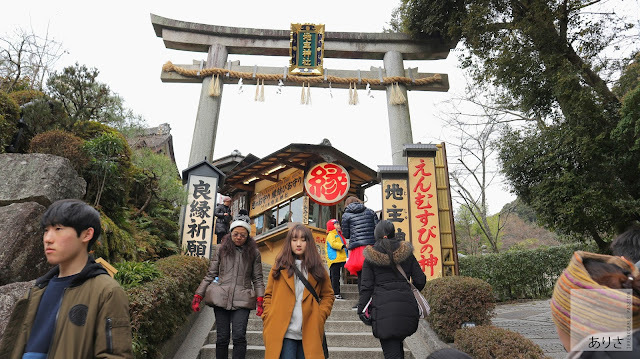 I've always wanted to visit the 1000 year old Kiyozumi-Dera ever since someone told and showed me photos about that place during Autumn, it was breathtaking indeed but during winter without snow the temple grounds just look rather gloomy aside from it being overly crowded with tourist, definitely hard to take a normal photo without being photobombed and part of the temple is going through some renovation at the moment. 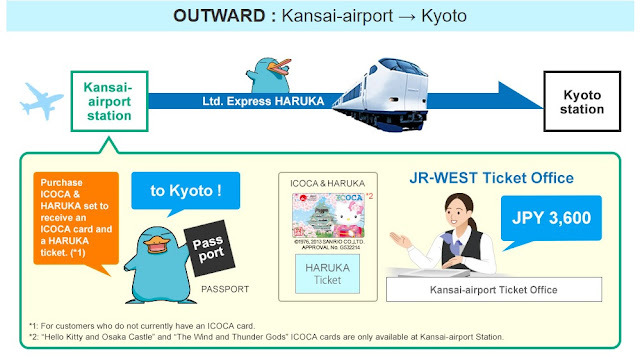 Best time to visit this place according to the guidebook is during Peak of spring and autumn! If you have read about the legendary warrior monk named Benkei, who had unusual strength you are able to find his iron staffs(90kg & 14kg) and clogs (12kg) on display and if you could lift the staff up your wish would be granted by the Gods lol. Not sure how true it is but alot of people had fun taking turns to lift these iron staffs up for a photo opportunity. 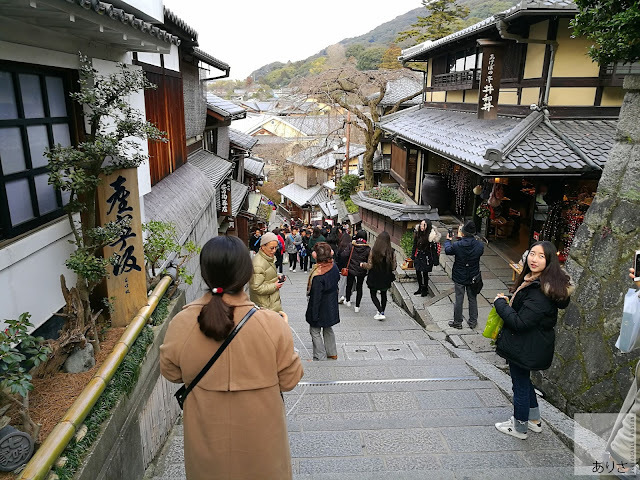 Around Kiyozumi-dera temple, there are smaller temples within the vicinity you can visit along the way like Jishu Jinja Shrine and their lively streets filled with souvenirs and all kinds of snacks- Kiyozumi-zaka, Ninei-zaka, Sannei zaka. Do take note that these areas are major tourist destinations so it's gonna be crowded no matter what time of the year, probably during summer's peak there might be lesser (who knows) due to the heat but overall if you don't fancy being in a sea full of people then you'll probably feel claustrophobic being around here but it's a definitely once in a lifetime visit to tick off your bucketlist. 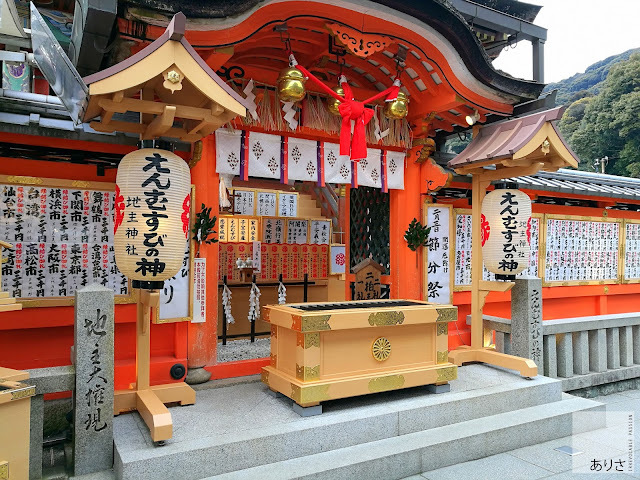 The saying goes if you close your eyes and walk from one end of the temple and touch the rock (Koi uranai-no-Ishi) at the other end, your wish will be granted. But you'll risk bumping into tons of people within that 80meters lol. 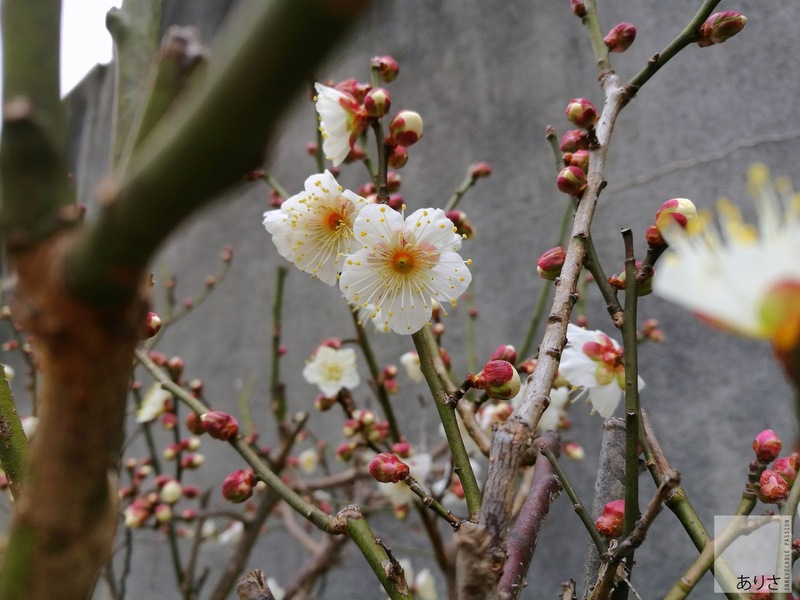 On the 3rd Sunday of April, A "Sakura Festival of Matchmaking Prayer" will be held which people can receive good luck from the famous Jishu Sakura (cherry blossom tree). 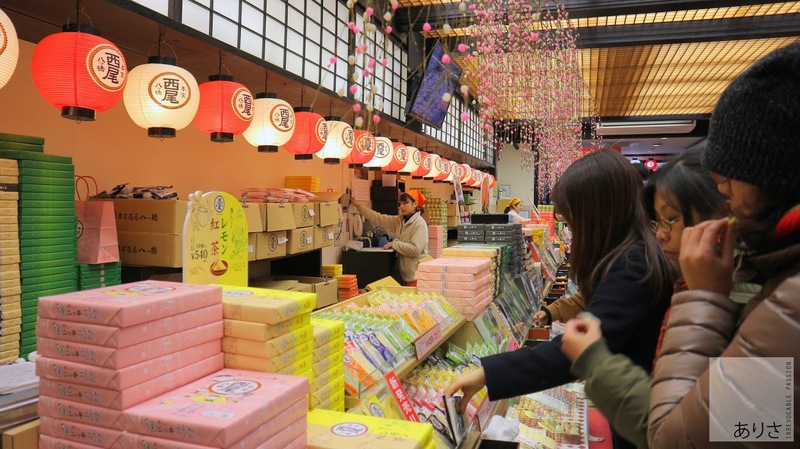 The mochi in kyoto isn't round like the common round ones we know off, theirs are made with the same kind of glutinous rice except it's flattened and folded into a triangle shape with paste in between. They have samples for you to try if you can't decide which to purchase, i prefer my traditional matcha & azuki combination or maybe i'm just tad bit boring lol. Along the streets you can shop and eat till your heart's content, there's not only street food, if you look closer hiding at the back are some nice and peaceful restaurants you can rest at with toilets to use as well. Can't help feeling so amazed that most of their toilets have a baby changing table making it convenient for mothers to change their diapers when needed instead of waiting till they reach home. 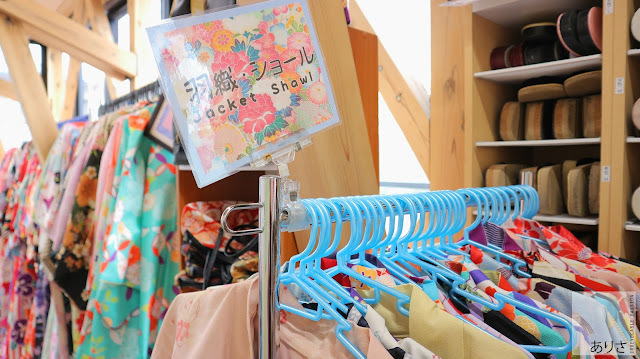 Japan is generally a mommy & baby friendly country to travel to, so new couples you can plan to tour Europe for your honeymoon first and save Japan for when you have kids lol. Like i said, peaceful and warm. Spent almost 2 hours here just resting because both of us are slow eaters. Luckily it isn't crowded so we could take our time as most places in Japan they practice quickly eat and go especially when there is a long queue outside. Saba fish with udon and it's broth isn't your usual type, it has a slight tangy taste to it thanks to the lime. "Shashin o totte mo īdesu ka?" Yasakano To (Hakanji Temple) at the back, along this ally there's an embroidery iron-on patch shop you guys should check out as well, really cool designs available to pimp up your plain clothes. Though the rest of the itinerary shows that we are supposed to go visit Ginkakuji after our Kiyozumi and Gion but felt it was enough for the both of us so we headed home instead and on the way we spotted Yasakano To (Hakanji Temple) Sounded like we visited "alot" in one day right but nah, it's all within the radius. 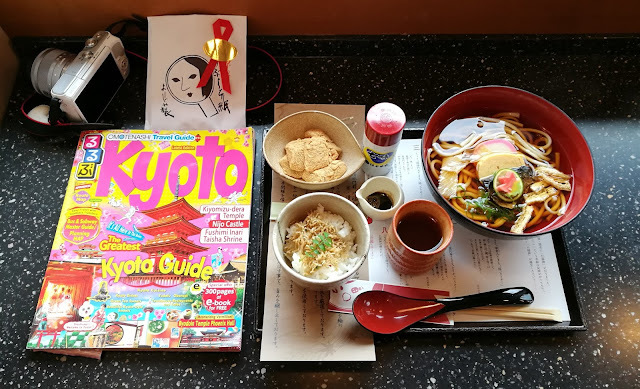 When you are in Gion, do drop by this quaint cafe called "Tsukiji", the hot chocolate there is delicious and there are tons of other cafes nearby around the area you can try out too, the full list and addresses can be found inside the magazine. 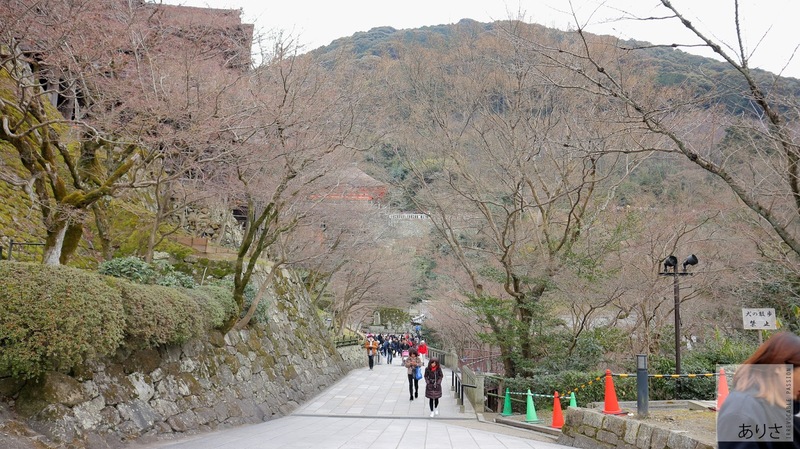 Saving Ginkakuji for next time, also recommeded to visit this place during spring & autumn! You can enjoy the Higashiyama's culture of "wabi" and "sabi" alongside with a mesmerizing view of of their modern sculpted sand creation. Also don't miss Togu-do's inner chambers which requires a special admission pass, since you are there might as well explore that part as well, never leave any stone unturned in Japan, and remember to always take your time to enjoy the scenery. Travel Tip: From Kiyozumi-michi city bus take 80/206 lines for 4 minutes and align at Gion or alternative it's a 15 minutes walk. 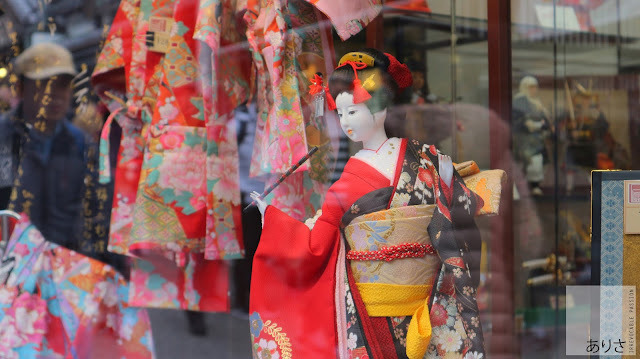 That ends the first 2 days we had in Kyoto, will continue the other part of our adventures in my next blogpost. You are a great mum.Salute you! I'm not perfect but i do try, thank you huey ling. 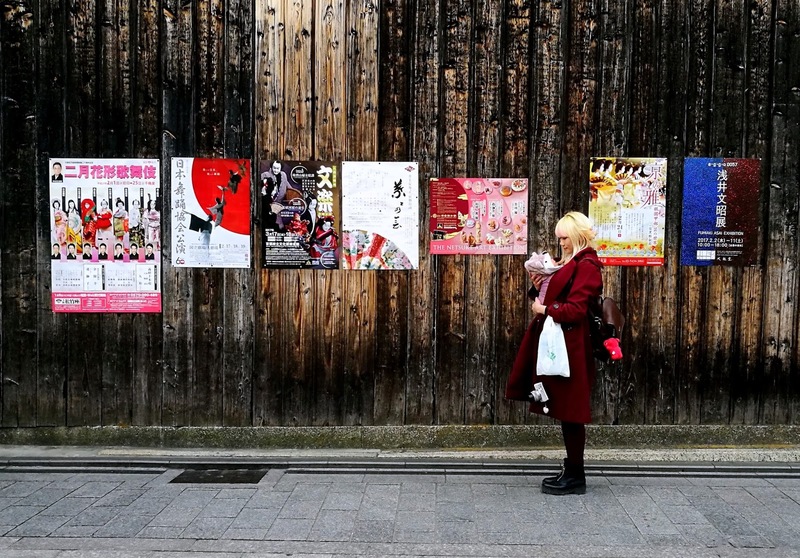 Kyoto looks beautiful and I'll love to visit someday. Big hugs to you and stay strong. Can't help feeling very sad reading this post, as someone who has followed your postings through your journey. At least you have blogged about it and hope you heal a little bit. I see strength than weakness in your post. A reflection of Love and care. Your ability to sit down and write such a detail post is amazing. It's not easy travelling with a baby but you did it. 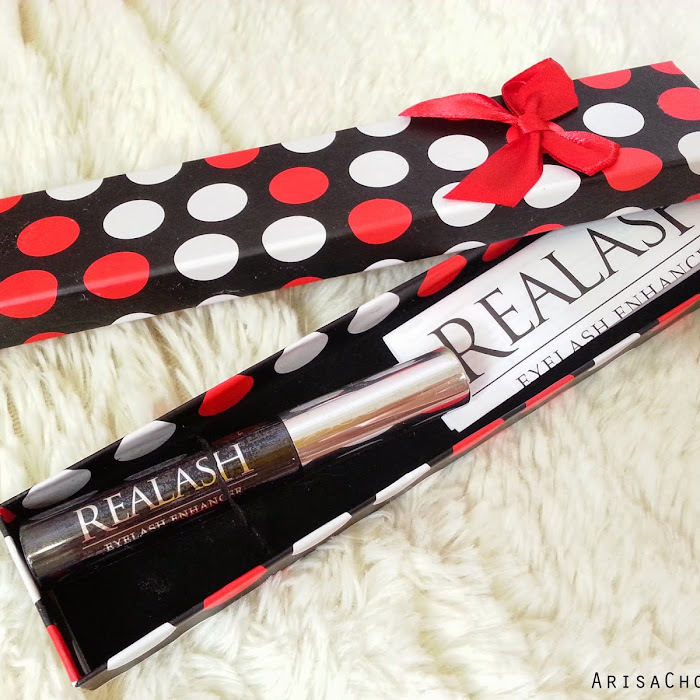 Great experience for you. I can imagine the bitter sweet emotions when you are writing this post. The beautiful days and moments you spent with your baby whilst being surrounded in a nice and pretty environment. She's really lucky to have seen and been to another place in the short time she has spent with you. Thanks for sharing this infor and experiences. 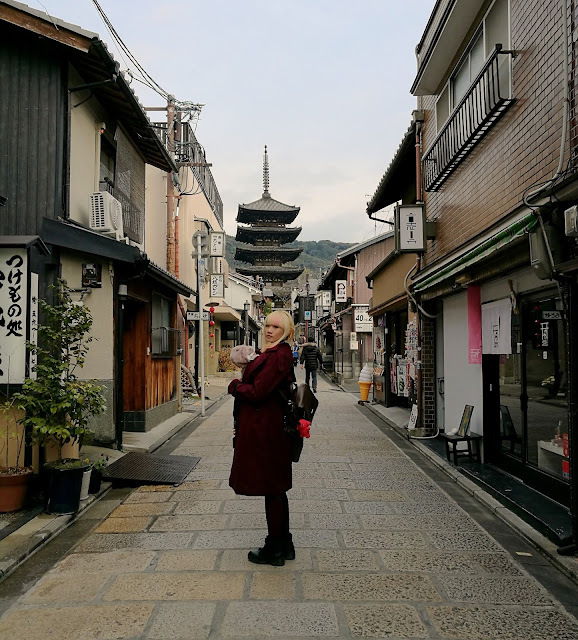 I love Kyoto so much even though I have been there before but there are still so many awesome places to experience. Will be going back again. So sad to hear that.but i love the way you show your love with Japan. 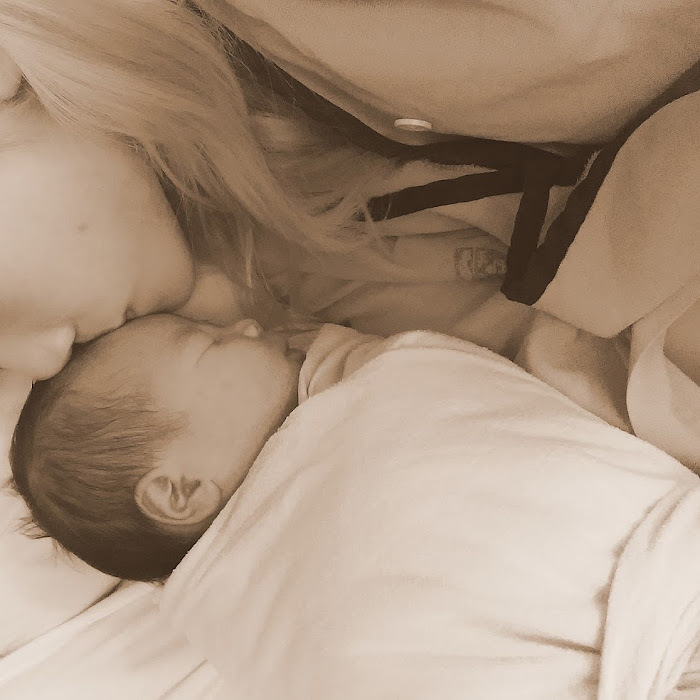 I like the way you take photos..
People are getting crazy over this method about how to plan baby boy since this is really a splendid method they are providing. I think I will also use it.